Hi There! 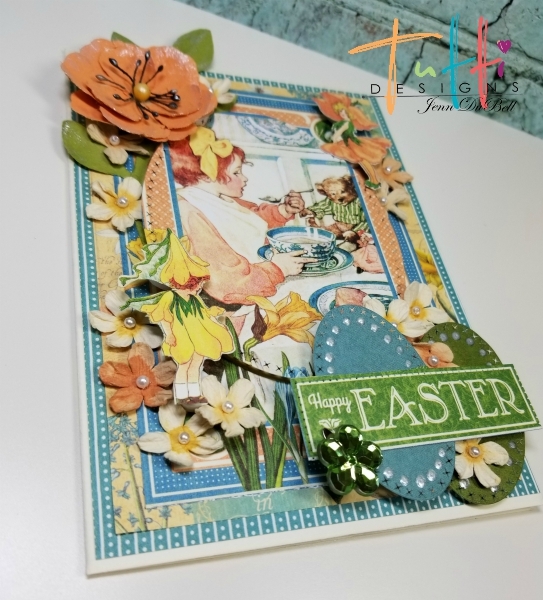 Jenn here to share my Happy Easter card with you today! 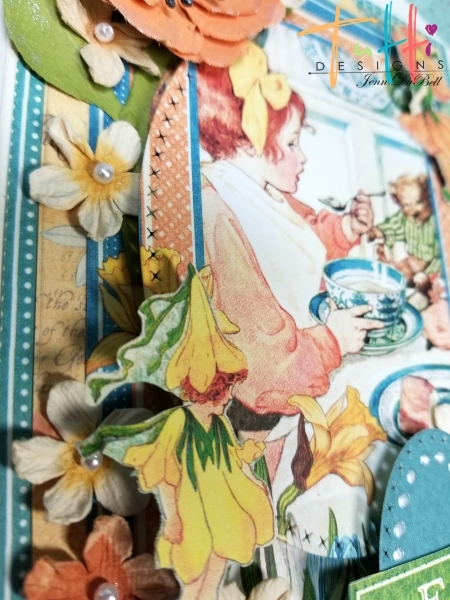 I created this card using several of the amazing Tutti Designs Dies in combination with papers from Graphic 45 and flowers from Prima. 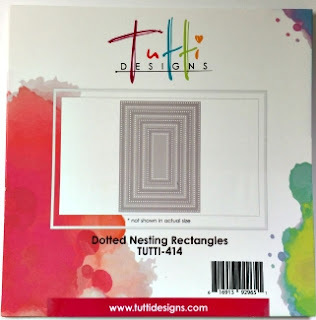 front panel bottom layer- 4 3/4" x 6 3/4"
second layer - 4 1/2" x 6 1/2"
yellow cardstock - 4 3/4" X 6 3/4"
Add a strip of the patterned border in between as shown. 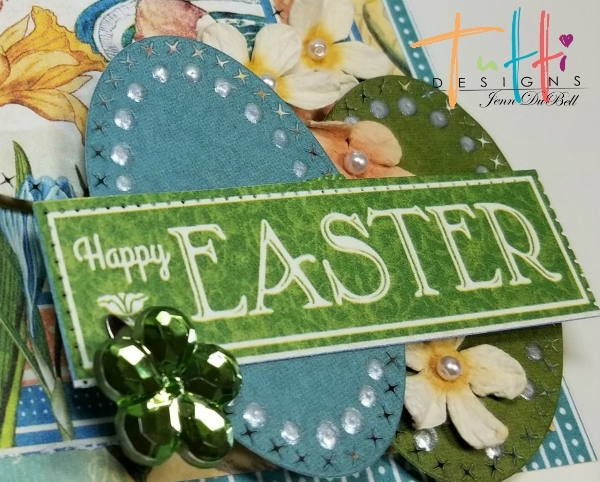 Add one of the die cut oval eggs, fussy cut stamp, and a cut-out sentiment from designer papers. 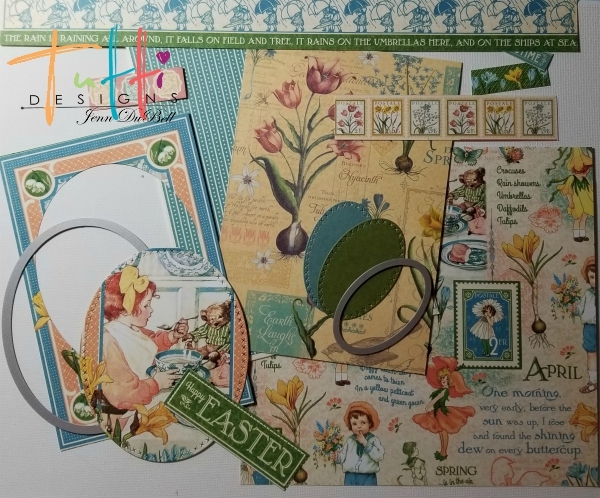 Adhere the layers to the front of the card including the negative from picture die cut into the oval. 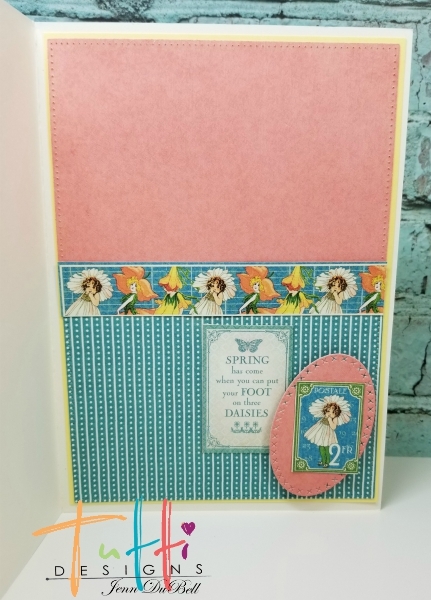 Add flowers, die-cut oval eggs, sentiment, and fussy cut fairies. I added some sparkle with Nuvo Crystal Drops, DecoArt Pearlizing Medium, and a green flower jewel. 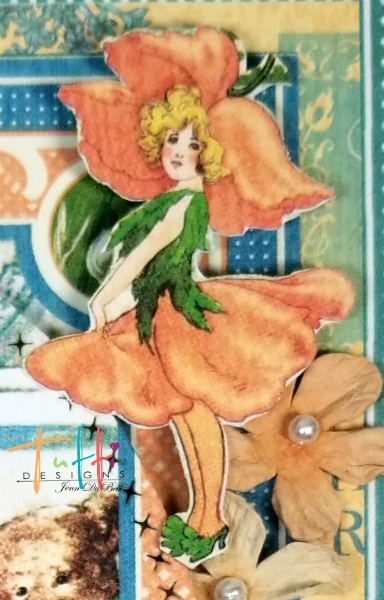 Here is the finished card at an angle showing the dimensions and layers. Until next time, happy Creating!! 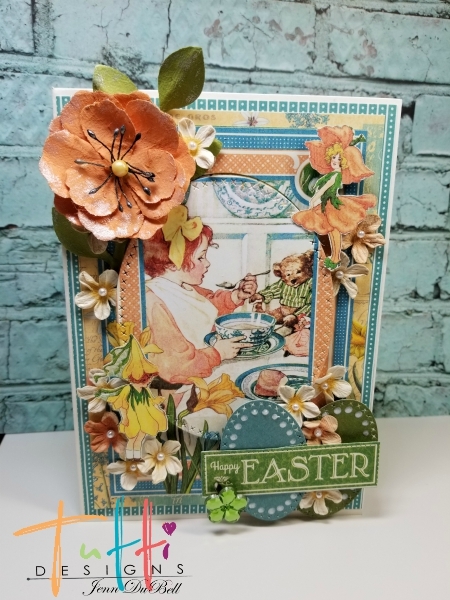 Morning Jenn wow what a stunning Easter card and the papers you have used are gorgeous. And I love your design and colours. WOW what a beautiful creation Jenn! I love all the layers! Awesome inspiration ... thanks! Wow this is amazing! I love all the layers!